Free kids' activities help you spend quality time with your children without the pressure to spend money. You'll notice that some of the activities do require materials, such as food or craft items, but each activity is designed to be done using whatever you happen to have on hand. 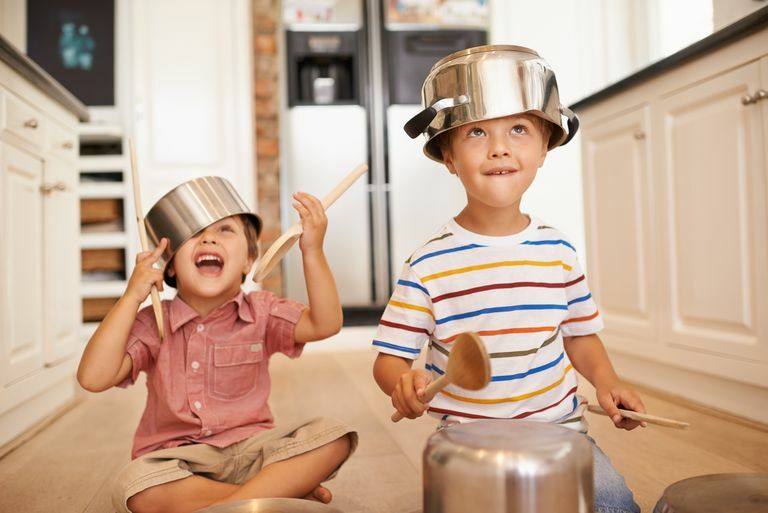 In addition, as you plan to incorporate these free kids' activities into your time together, remember that what's most important about quality time is what comes after. Let these fun and free kids' activities serve as a first step toward engaging your children in deeper conversations strengthening the bond you share. Make a "tent" out of sheets. Take turns reading to each other. Have a spa night with oatmeal-honey facials. Look through old photo albums together. Watch your child's favorite TV show or movie together. Help them clean their room. Pull out a box of toys they haven't played with for a while. Play store, restaurant, or ice cream stand together. Sit outside and look at the stars. Teach your child how to cook. Teach your child how to play solitaire or chess. Let your child style your hair. Share a memory about how you handled conflict or stood up to a bully when you were a kid. Visit a free public museum. Plant seeds from something you've eaten, such as apples or watermelons. Draw on the sidewalk with sidewalk chalk. Run through the sprinklers together. Take your dog to a dog park or visit the local humane society. Bake brownies or cupcakes together. Play school or office together. Swing on the swings together. Jump on a trampoline together. Make your own treasure map. Listen to your favorites songs together. Listen to an audio CD together. Make pancakes in the shape of your child's initials. Make ice cream floats for dessert. Teach your child a song you sang as a kid. Read your favorite childhood picture book together. Make your own memory game out of family photographs. Help your child send an email to a grandparent, aunt, or uncle. Make a care package to send to a relative who lives far away. Write encouraging letters to each other and then mail them three months from now. Draw caricatures of each other. Have a picnic outside or on the living room floor. Build animal families out of homemade play-doh. Roleplay how to handle a tough situation, like making friends, or saying no to peer pressure. Teach your child how to ride a bike. Make up a silly song together. Teach one another some new dance moves. Tell your child three things you really like about him or her. Make a special breakfast "just because." Make necklaces out of colored pasta shapes and dental floss. Make swords out of rolled up newspaper, and have a pretend sword fight. Put on skits for your neighbors. Make a meal together for someone else. Have something unusual for dinner-like air-popped popcorn and fresh fruit. Build something out of trash/recycling items. Create a new voicemail message together. Make a slideshow of your favorite digital photographs. Pick flowers and press them in wax paper. Collect leaves and then try to identify them by researching them online or at the local library. Let your child teach you about something he or she knows or does well. Make life-size drawings of each other on the back of some old wrapping paper. Play in the sand together, at the beach, a local park, or your child's own sandbox. Help your child practice a sport he or she enjoys. Visit a local music store and sample each other's favorite artists. Go to a free event for kids' sponsored by your local library or a book, craft, or hardware store. Write messages on the mirror for one another with soap. Create memory boxes for your child's favorite pictures, artwork, and mementos. Create a special place in your home for displaying your child's artwork. Let him or her choose what to display in the place mentioned above. Help your child fix a broken item or toy.
. Watch your child play a sport or take him or her to see a friend's game.
. Visit a skate park together and watch older kids do tricks.